How are design systems changing the way our industry works? We conducted a survey, and are excited to share findings on the benefits and challenges of this impactful, systemic work. We think about design systems a lot at Sparkbox. You can read Ben’s Foundry post about how design systems increase consistency and efficiency, and this recent post by Catherine with tips on keeping design system subscribers engaged. There’s also this video where Drew, our Projects Director, discusses a client partnership where we’re building, maintaining, and iterating on an enterprise ecommerce design system. And, we’re offering a design systems workshop to help internal teams level up and scale design systems at their organizations. But, because education is such a central part of what we do at Sparkbox, we wanted to do more than write, teach, and speak. We wanted to learn. Specifically, we wanted to learn about design systems. Beyond our experiences with clients, what are the universal challenges? The benefits? What makes this work worth doing? What makes this work succeed? So, we created a survey, shared it widely, and analyzed the 400 responses from individuals at organizations of all sizes, in industries including retail, healthcare, education, finance, government, and entertainment. What we found is that a design system is not a one-time project. It is an investment in your future, and represents a shift in the way your organization works. Design systems succeed or fail based on a number of factors, including the ongoing communication and collaboration around them. Specifically, having a design system champion at your organization can make a big difference in how it is created, staffed, and used. Want to learn more and become that champion, or get the information your champion needs to create change? 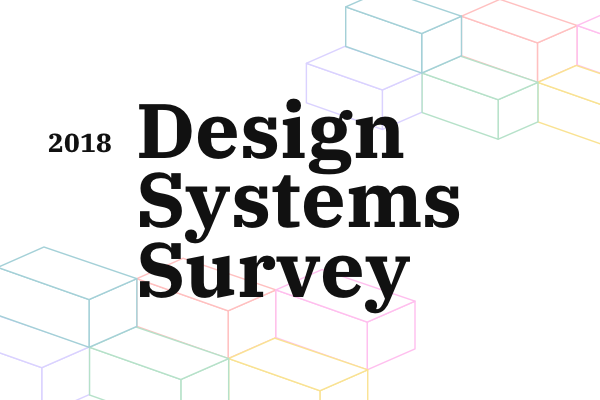 Take a look at our full report on the state of design systems in 2018, and let us know your questions and thoughts. We’re excited to keep learning. In our first issue of "Let’s Talk," we tackle design systems. Should you build one? How do you make sure yours is successful? We provide different perspectives and examples to help you figure out what’s right for your organization. In this edition of the "Be Better" newsletter series, Ben explores how design systems build team unity. While design systems can be tremendously valuable they're not a one-size-fits-all solution. Bryan explains when a design system may not be what you really need.